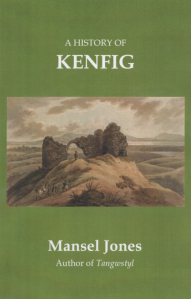 Please welcome Mansel Jones, another Welsh writer of historical novels. Please tell us a little about yourself as writer and as person. I am married with two children. One of my main interests is social history and my books reflect that interest. My first article on social history was published in 1989 and I have written regularly since then. Because of my love of history, especially medieval history. I live near the deserted medieval town of Kenfig and it seemed natural to locate my first novel there. Hi Christoph. It sounds fascinating. Nice to meet Mansel. Hugs!